Book spotted!!. A friend of the Autor spotted Awaken Me in Barnes&Noble Weiter to Richelle Mead!!. 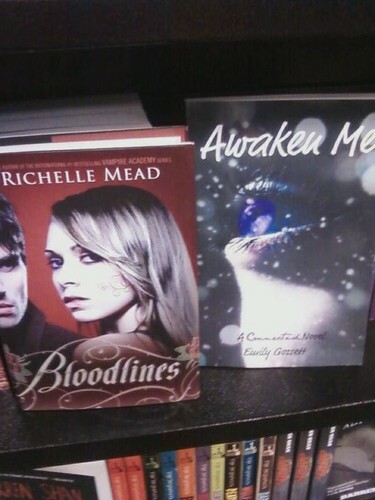 HD Wallpaper and background images in the Awaken Me Von Emily Gossett club tagged: awaken me book emily gossett spotted. This Awaken Me Von Emily Gossett photo might contain anime, comic, manga, cartoon, comic buch, karikatur, and comics.